An HVAC system that operates efficiently keeps utility costs down and your family comfortable in summer and winter. While regular maintenance can keep heating and cooling units running properly, the equipment usually must be replaced every 10 to 15 years. [i] Here are six tips to updating your HVAC system. HVAC systems are major purchases. Before making a decision, doing a little research can help you choose the right one. Use sources other than the company’s website for unbiased reviews, such as Consumer Reports. Consult family and friends who’ve recently installed new units. A global Neilson advertising survey revealed that 84% of people trusted word-of-mouth recommendations from friends and family and 68% relied heavily on online product reviews by customers. All HVAC systems are different, and some may not work in your home. Measure your home to determine the right size for the equipment. Make note of the current unit’s size and the location of your valves, pipes, and ductwork. Moving and resizing equipment can be costly. A contractor with HVAC training can help you determine the right size unit by measuring the square footage of your home and completing a heat load calculation. If your old system heated or cooled the entire house, you may want to consider more energy efficient systems. One high-efficiency option for homes that don’t have ductwork is a variable refrigerant flow (VRF) system. A VRF allows a single outdoor condensing unit to control multiple indoor mounted units. [ii] Another option is the split-ductless system. Ask your HVAC contractor what your options are. Choose a contractor with the right technical training and licenses. It’s important to know what type of license a contractor holds and if he or she would need to hire other licensed subcontractors to cover additional work, such as plumbers. This means there may be additional costs for you. Verify all fees and charges before signing your contract. Most states require HVAC contractors to be licensed. Ask to see the contractor’s license to ensure he or she is working in compliance with your state’s laws. Working with a professional HVAC company can ensure equipment is installed the right way the first time. Upgrading your HVAC system won’t make a difference if your house is not insulated properly. Before installing new HVAC units, check the insulation of your house. If your walls are not insulated well, hot air in the winter and cold air and the summer can escape. Insulating and sealing the cracks and openings in your home—including the ductwork—will increase the efficiency of your unit. Consider installing a thermostat you can program. Programmable thermostats can save you as much as 10 percent on heating costs a year by allowing you different settings for when you are and are not home. Aging or faulty electrical wiring in your old HVAC equipment could pose a serious fire hazard. An HVAC professional can check your wiring to ensure that the unit is properly installed and could also protect your home and family from the threat of a fire. 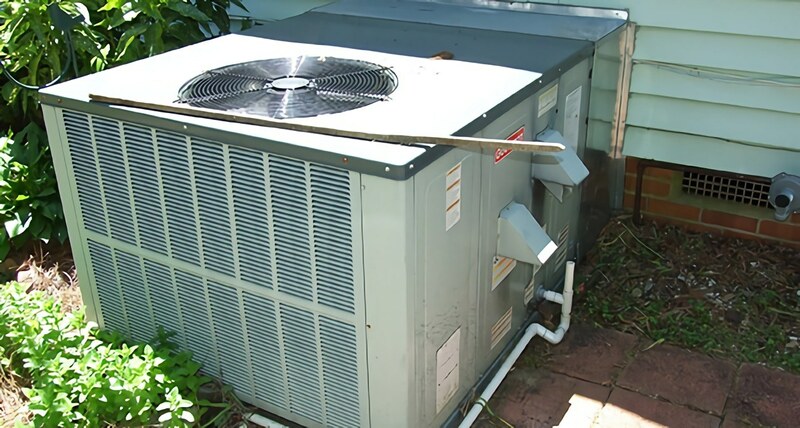 Once you’re ready to update your HVAC system, make sure to call in professionals to install the equipment, as proper installation is key to efficiency. Most HVAC contractors and technicians have had formal training at a trade school, such as The Refrigeration School, and can make sure your upgrade goes smoothly. Moreover, you’ll want to establish a relationship with a service company you trust, as the equipment will need professional maintenance and repair work throughout its lifetime. HVAC systems can only keep you and your family comfortable when they’re working correctly.